There is not an absolute number of extant dolphin species to date. 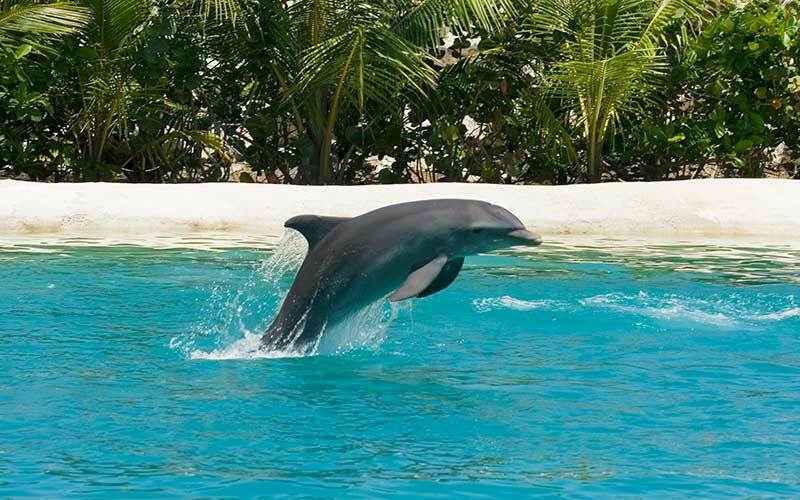 Moreover, the studies continuously carried out on these cetaceans still find the existence of more species occasionally, either because of new discoveries or because the scientific classification of a species seems not entirely correct as result of applying new technologies like genetic research. There is not a formal taxonomic classification of dolphins. They are an informal group formed by the 39 species of the family Delphinidae of oceanic dolphins plus the five* species of the superfamily Platanistoidea of river dolphins. *Recently the Araguaian river dolphin was split from the Amazon river dolphin and was added to this family, and the Baiji is functionally extinct but still considered in this list. You should know that dolphins are mammals related to whales, but unlike them, they have teeth. Whales and dolphins are cetaceans, that is, animals, that belong to the taxonomic order Cetacea, a group of mammals fully adapted to the aquatic life. This order, in turn, is divided into two suborders: Mysticeti and Odontoceti. Whales are members of the former suborder while dolphins belong to the latter, although this classification also includes porpoises, beaked whales, and sperm whales. The parvorder Mysticeti includes all the baleen whales, which are cetaceans that have a fibrous structure useful for filtering the food. Odontoceti has teeth, instead of those baleen plates. The curious thing is that dolphins, toothed cetaceans, do not use their teeth to tear the flesh of their prey like sharks but to hold their food and for other purposes related to their senses and communication. + There are 39 species of oceanic dolphins classified in 17 Genus, and five species of river dolphins classified in 4 Genus, but these numbers keep changing with new discoveries. For practical purposes, there are around 44 species of dolphins classified in 21 Genus, but again, these figures may change with time. The image that many people have of dolphins may be a little different from reality: not all of these animals live in the sea, and not all look as the bottlenose dolphin that most people know. There are also dolphins that inhabit in freshwater rivers, although their distribution is rather small and less known. These freshwater cetaceans are also considered Dolphins even though they do not belong to the family Delphinidae of oceanic dolphins. 40- Inia geoffrensis. (Amazon river dolphin). 41- Inia araguaiaensis (Araguaian river dolphin).